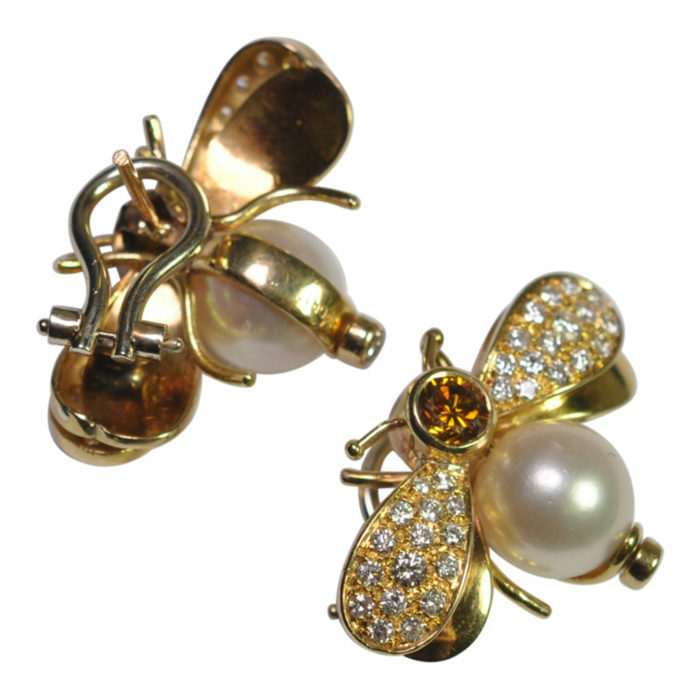 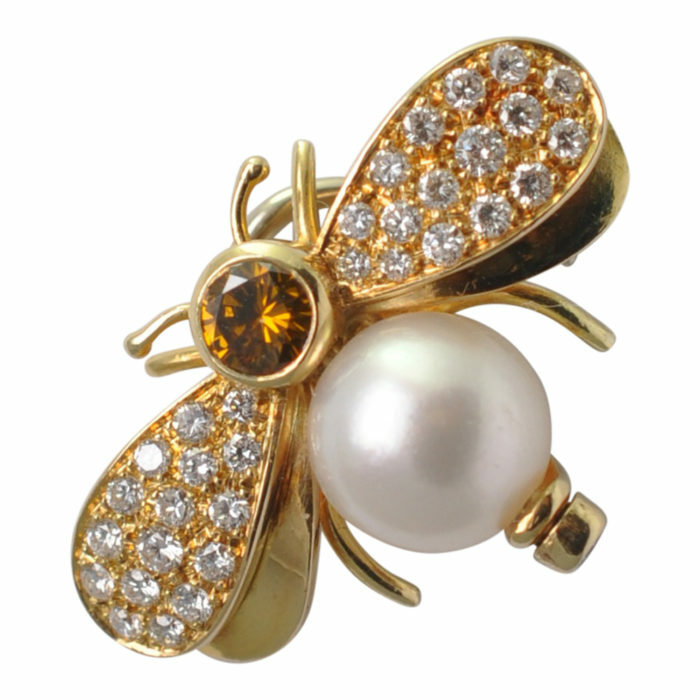 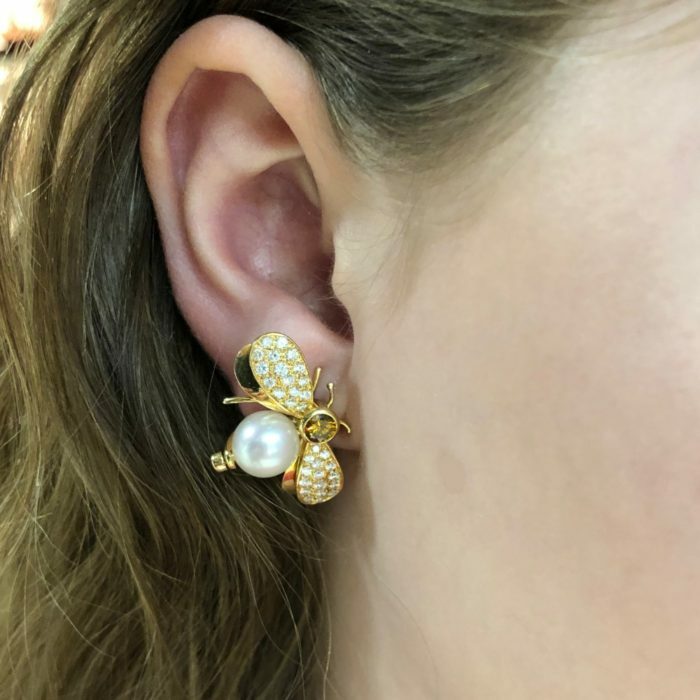 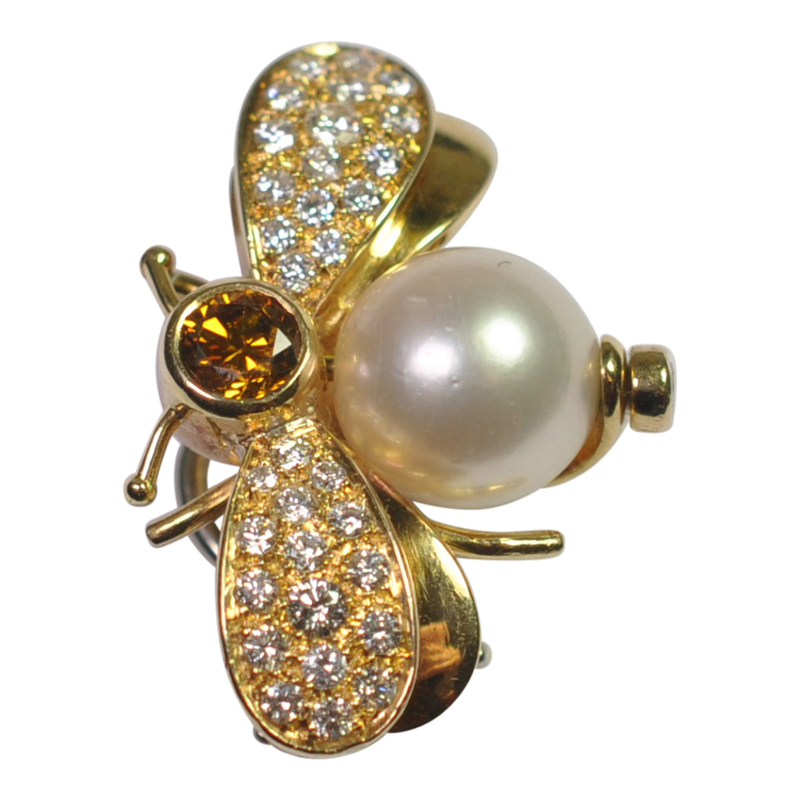 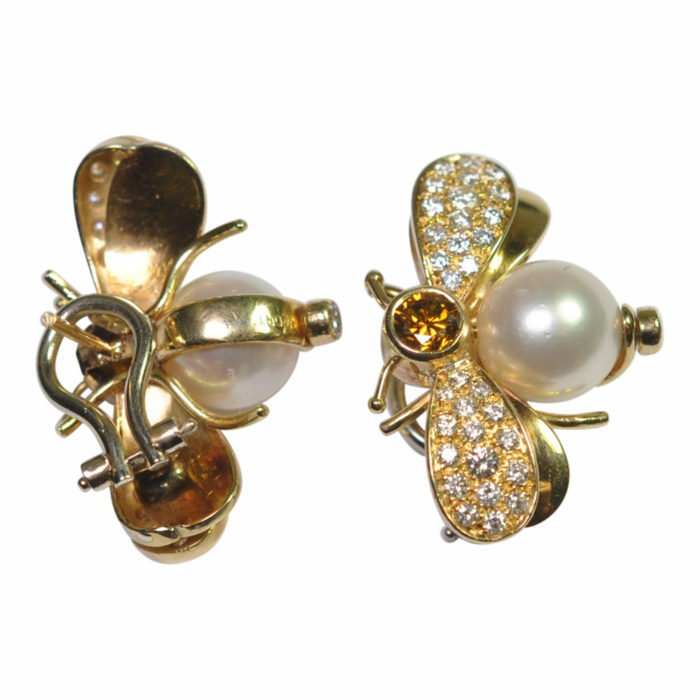 Diamond, cultured pearl and 18ct gold bee earrings by Italian society jeweller Stefano Scortecci. 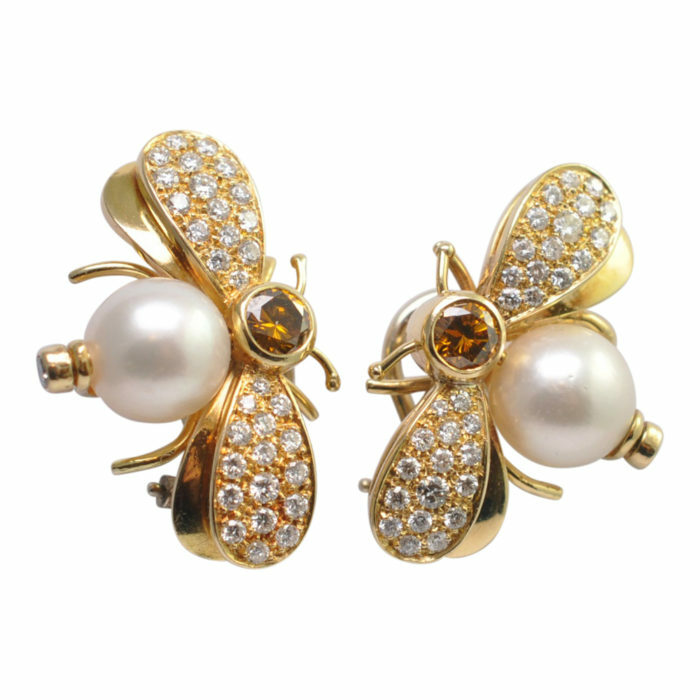 The earrings are in the shape of flying bees; the heads are set with deep orange diamonds each weighing 0.35ct and the wings are decorated with brilliant cut diamonds totalling 1.30cts with the lower pair of wings in gold. 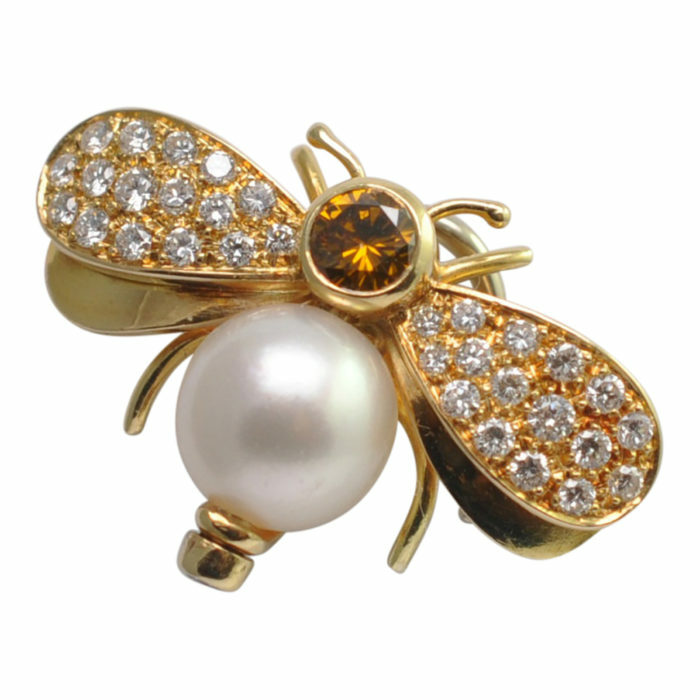 The bodies are set with 9mm cultured pearls which have a good strong lustre and a diamond at the back. 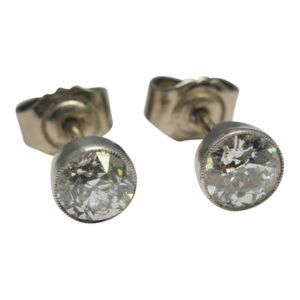 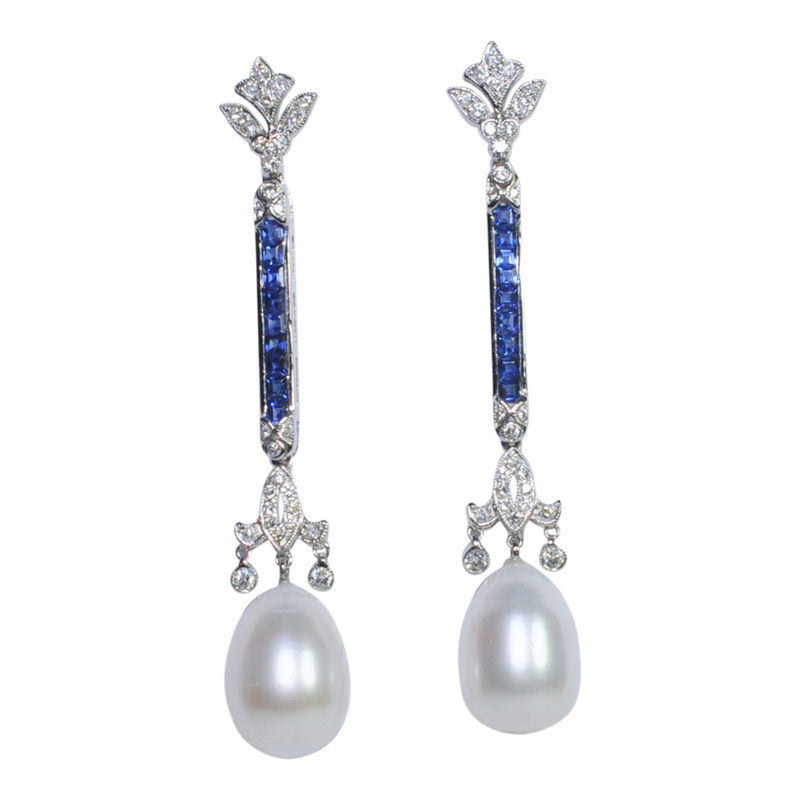 No attention to detail has been omitted and these beautiful earrings are exquisitely made. 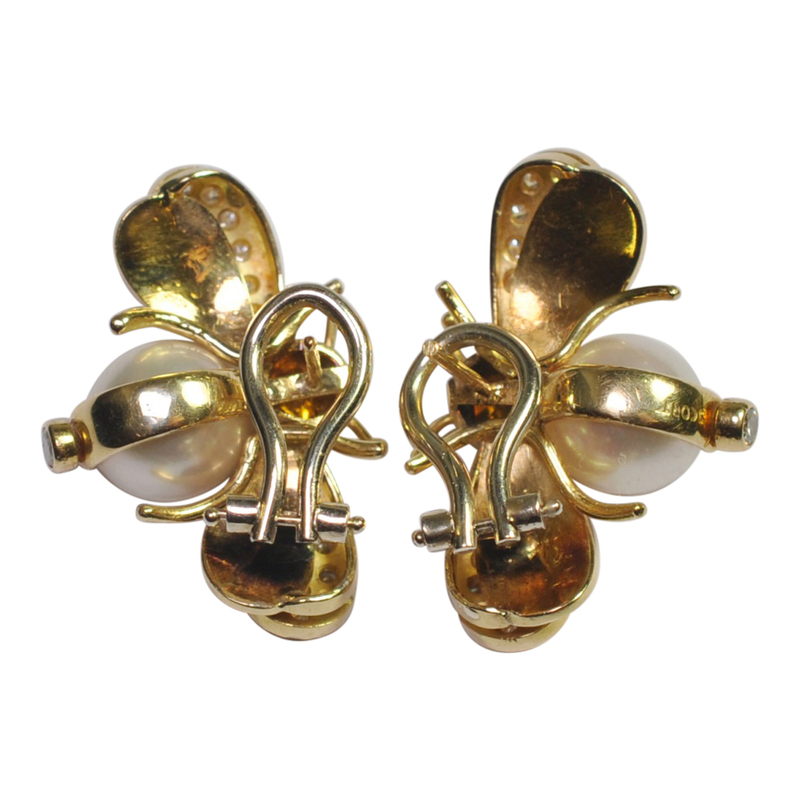 Each bee is fitted with a clip and post for added security. Signed Scortecci and stamped 750 (18ct gold); Weight 8.5gms each; measurements 2.75cms wide x 2cms long. 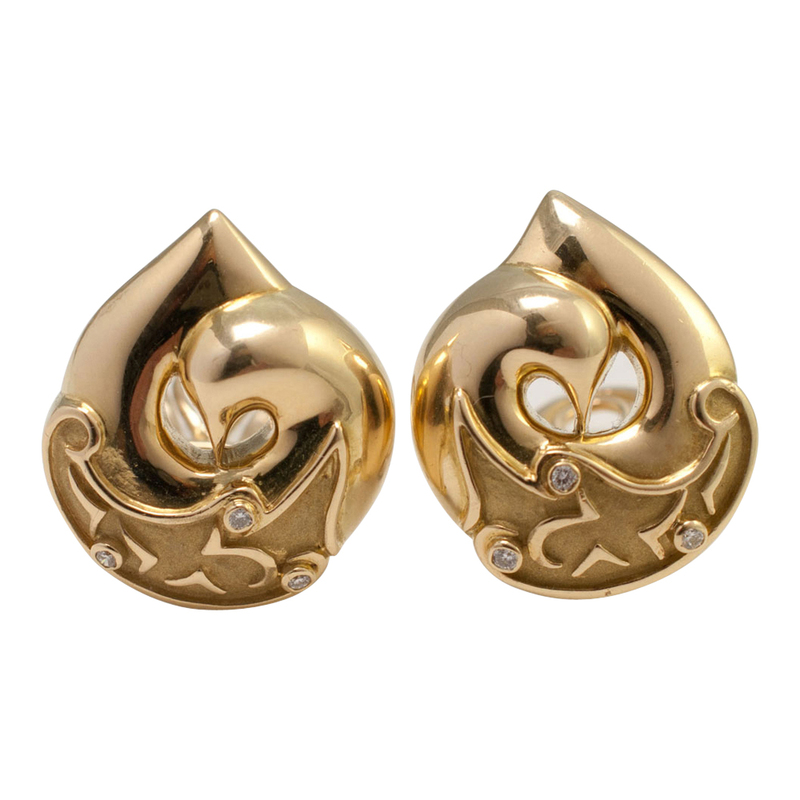 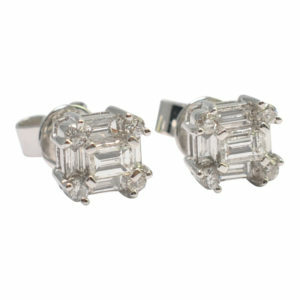 These earrings are in excellent condition. 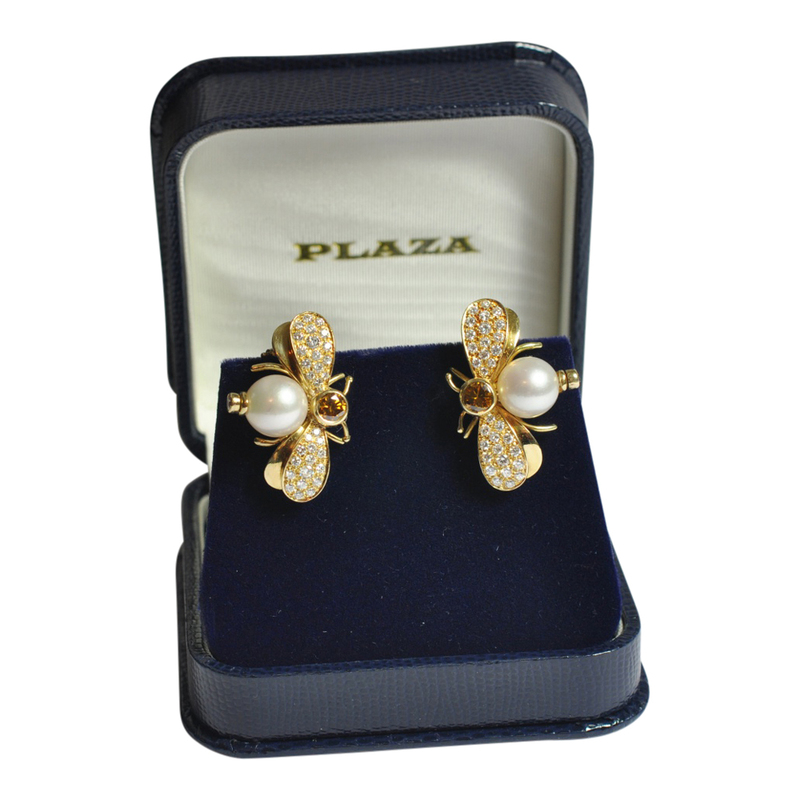 C.1980s.